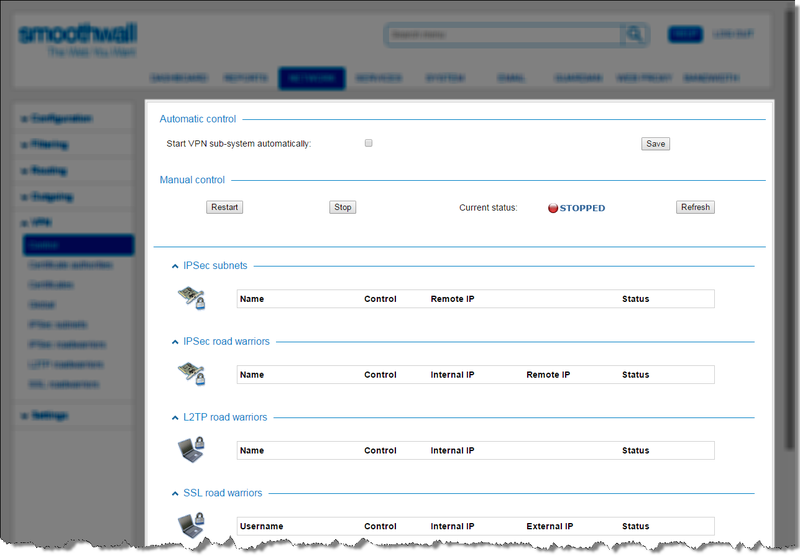 The Smoothwall System’s VPN system can be set to automatically start when the system is booted. This allows roadwarriors to tunnel in without having to wait for the system to be manually started. It also allows site-to-site tunnels that are initiated on the Smoothwall System to automatically negotiate a site-to-site connection.